Comments: Whenever you are introduced to a pair of twins in the movies, you can be sure that one twin will turn out to be good and the other evil. This is such a persistent cinematic trope that if I didn't know better, I'd assume that this was simply an accepted fact of real life. Well, what do I know? Maybe it is; my experience with twins is quite limited. I seem to remember a pair of twins in my kindergarten class; neither seemed noticeably good or evil, but perhaps their true natures hadn't yet emerged. Many years later I spent a summer working in a factory with a pair of stunningly beautiful twin gymnasts. For most of the summer I simply assumed I was dreaming and that they weren't really there. I remember being rather sweet on one of them (probably because she laughed at my jokes), but neither seemed the least bit evil. Of course, the evil twin might have been pretending to be good, for her own nefarious purposes. That is exactly the sort of thing I would expect. Passing yourself off as your good twin is a deliciously evil thing to do, and it's an absolute requirement in your standard good twin / evil twin movie. And of course it happens in tonight's feature, The Black Room. The insidious Gregor kills brother Anton and takes his place. This is bad luck for for Anton but a good thing for us, because good twins are always boring and we're much better with him out of the way. Prophesies, of course, always come true in the movies as well. That's just a fact. So we know going in that even in death, Anton will somehow manage to kill Gregor in the Black Room. And we're not disappointed. 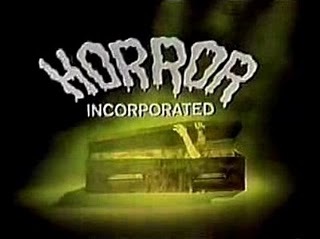 This is the second Columbia feature to be broadcast on Horror Incorporated, and already we're seeing a pattern: Columbia horror films are a bit stingy on the horror. Not a great concern -- this movie is pretty lively -- but Universal would have at least thrown in a torture chamber or a vampire or something to keep it interesting. 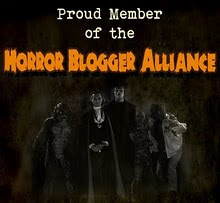 Another difference is that angry villagers in a Universal film always carry torches and pitchforks. They get liquored up and act crazy. But disappointingly, the villagers aren't really angry here; they are stone cold sober and they arrive at the castle empty-handed. And when Gregor renounces his title, they all melt away. The citizens of Vasaria would never have stood for it. They'd have burned down the castle just for the trouble Gregor had put them all to. 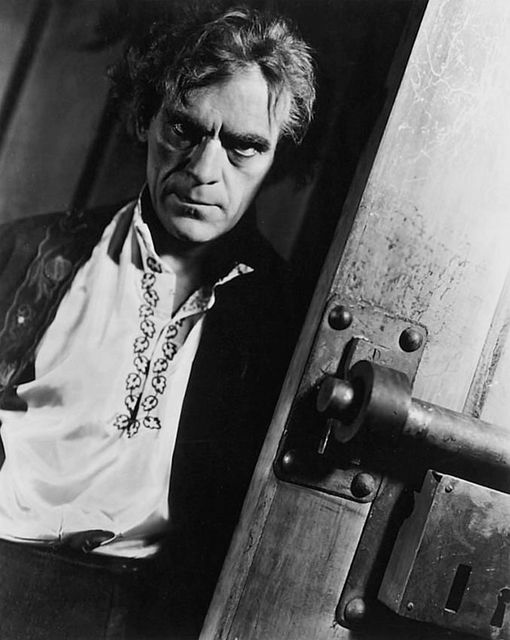 Karloff does a good job playing the dandified Anton, but the real fun is clearly playing Gregor, and later, playing Gregor playing Anton. 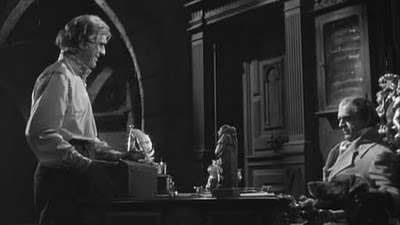 Unlike some actors who have done double duty on-screen, Karloff is perfectly capable of playing two entirely different characters. As always Karloff is wonderful to watch and I'm happy that the fame he found in Frankenstein made it possible for him to break into more lead roles. He's really marvelous here. It's widely available, and if your local video store doesn't have it, Amazon.com will. 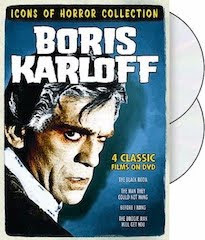 THE BLACK ROOM presents not one, not two, but THREE superb performances from Boris Karloff, who clearly relished the challenges of starring as opposing twins (who else could have done this film had it not been him?) Anton is very much like the actor himself, gentle and kind, while Gregor is slovenly and bitter, sounding exactly like THE GRINCH THAT STOLE CHRISTMAS! When Gregor murders his brother in the Black Room, he proceeds to impersonate Anton in a third characterization, but has difficulty with Anton's paralyzed arm and faithful hound. Every Universal title featured a different look for Boris, all the way up to 1940's BLACK FRIDAY, but here for Columbia, he creates each character without makeup, and always remembered it fondly. Delicately lovely Marian Marsh had already worked with the actor in 1931's FIVE STAR FINAL, while old friend Edward Van Sloan cameos as the doctor who delivers the twins. 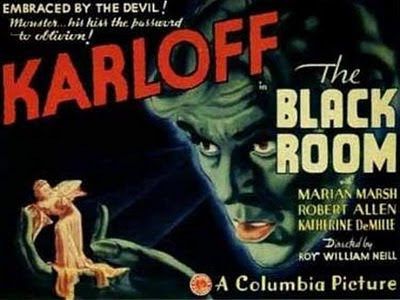 THE BLACK ROOM aired only 4 times on CHILLER THEATER, the last time in March 1970.